God is Dead. Caitlin interviews Lemmy. Lemmy's Road Crew on Lemmy. 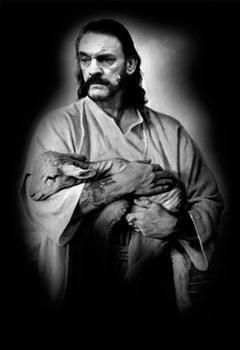 and Lemmy on Lemmy. Saint Steven Buscemi on Lemmy. People are Stupid by Design. Preferred music at his Funeral. Just Cos You got the Power Doesn't mean You got the Right, Eat the Rich.